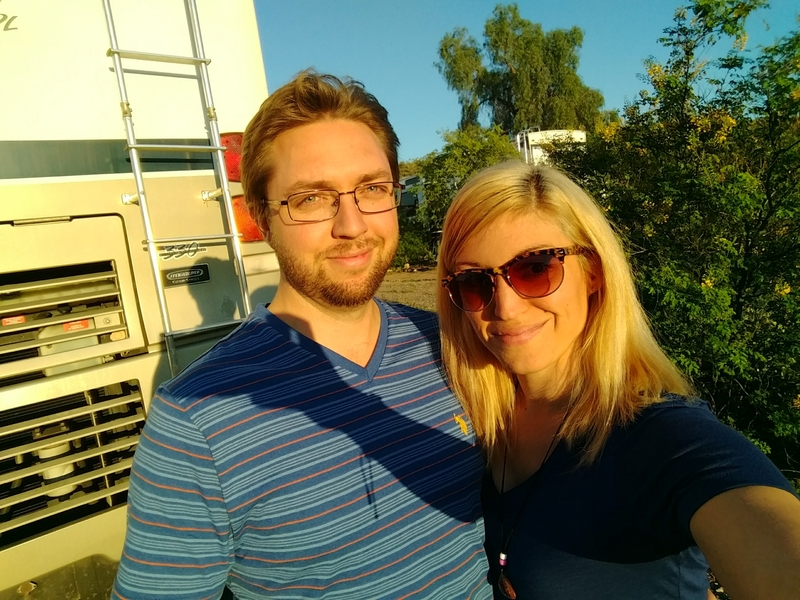 Our First Night in the RV! 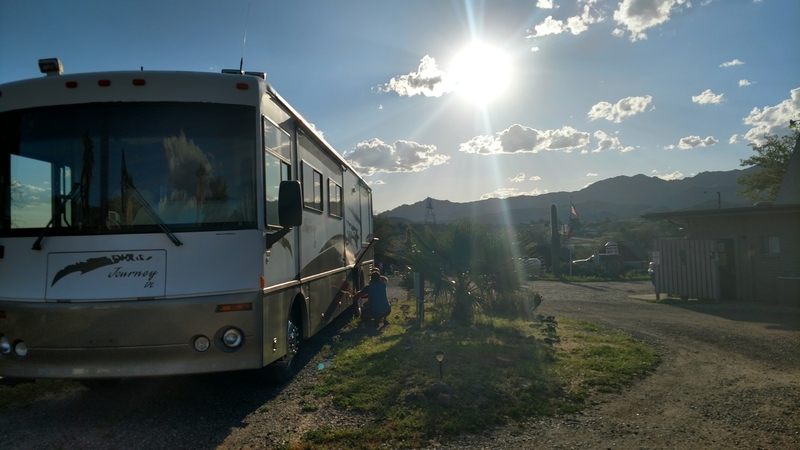 We are very excited to share that we had a spontaneous opportunity to spend the night in the RV by yourself for the first time without our toddler… Needless to say we had to take full advantage. This is a pic of the rig interior with necessities thrown hurriedly in back. Anyhow, our favorite little two-year-old was invited by her aunt’s to spend the night on a Saturday night. 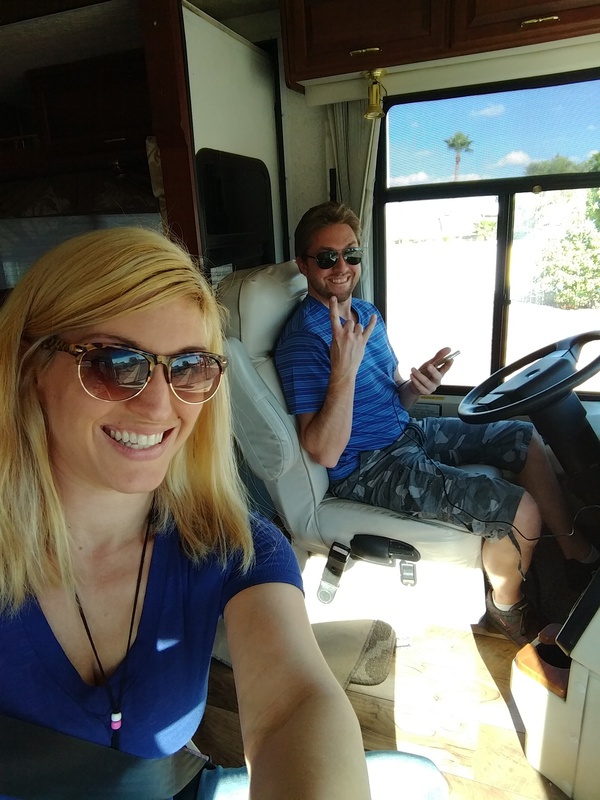 Of course this all happened in the late afternoon so we were racing to get her packed up at the last minute with everything she needs to get over to the aunt’s house so that we could take the RV to a full hook-up site and actually give it a whirl for the first time. We called around multiple sites in Phoenix and during the season most fights are full due to the nice weather. 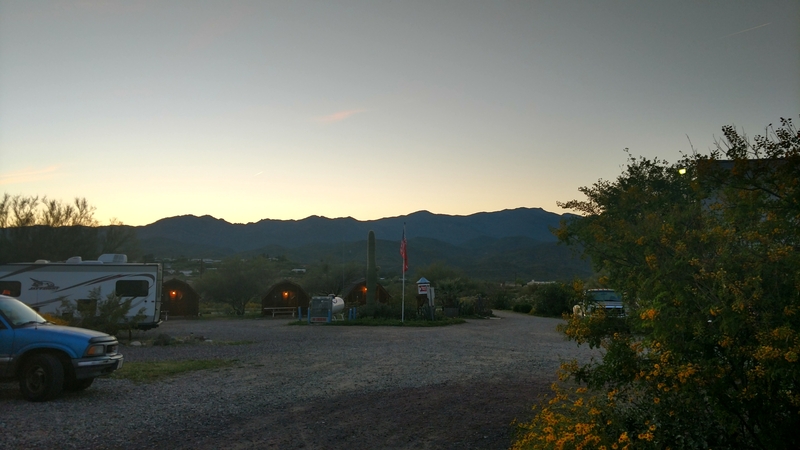 However we lucked out and found a spot in Black Canyon City Arizona, which is about 30 minutes north of Phoenix. 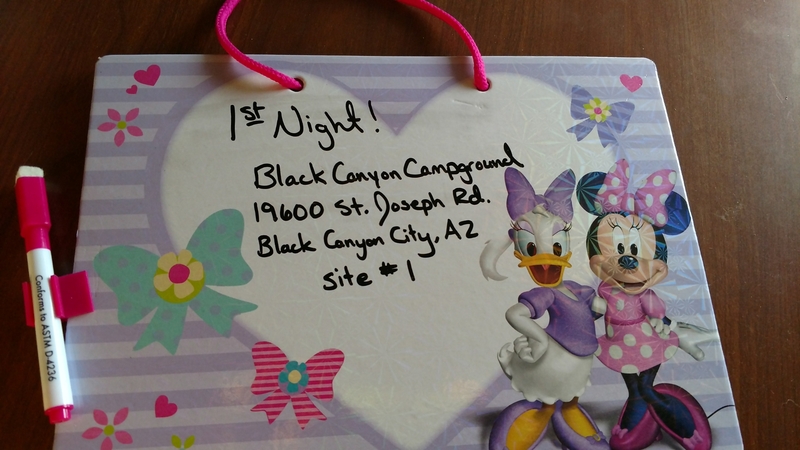 Exactly what we were looking for, and I personally love Black Canyon City because it is nestled in the mountains where there are trees and it is very green looks tons of Wildlife not what you would think of when picturing Arizona. 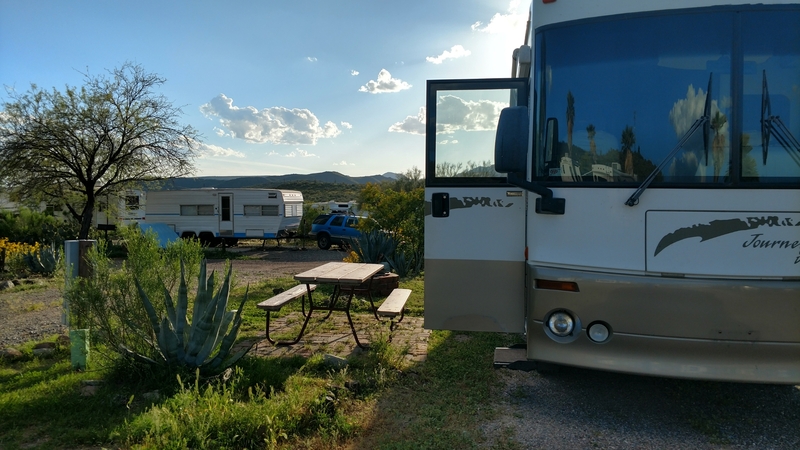 We realized it was really our first time doing everything so even finding the campground was new, let alone checking in and parking the RV and the pull through site. Out of this world gorgeous! Then we realized we forgot black gloves for hooking up the sewage line. 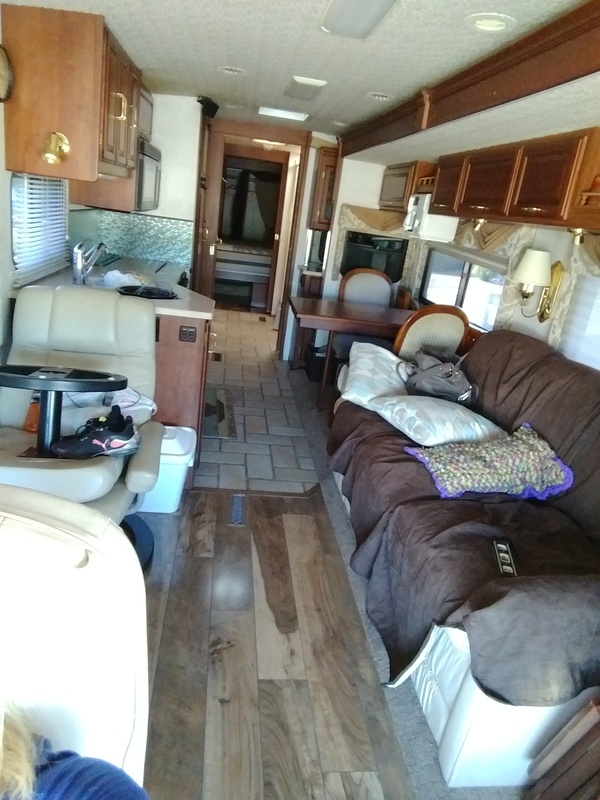 Luckily the awesome previous owners of our 2002 Winnebago left a spare pair underneath the sink, which we thought was kind of a weird place but we were hoping it wasn’t used for the sewer line previously LOL. We got set up pretty quick it took about 45 minutes. 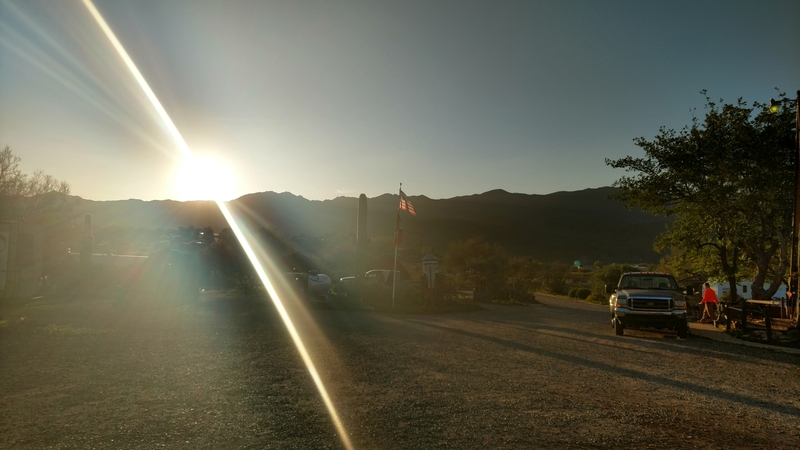 Then we got to step outside and enjoy the amazing Mountain Air and Cool Breeze..
Heres more pics.. we arrived around 5pm so the sun was already starting to set, especially with the high mountain range to the west. 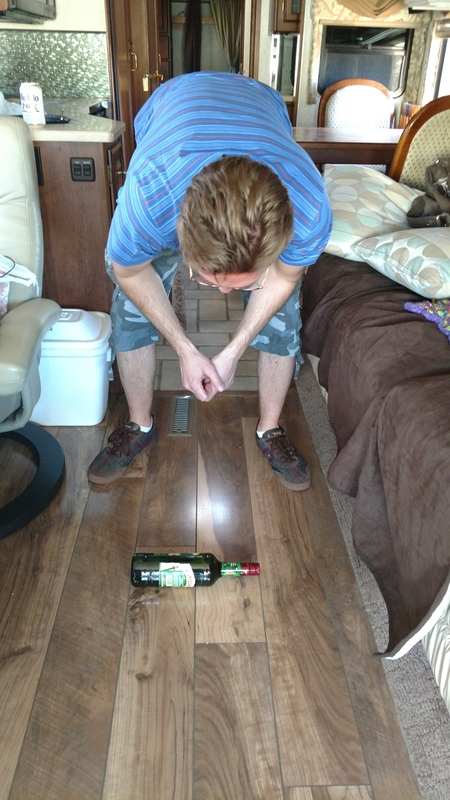 Here is us trying to get a non shadow pic…Hmmm.. Anyhow due to our late arrival, we ended up getting spot number one and had no neighbors on either side of us so we were in the clear with lots of space to Rome. We had an amazing night watching the sunset and chasing goats and cats and chickens. Haha just kidding. We ended up watching Parks and Recreation and drinking Jameson but it was still super fun. We definitely learned some travel lessons and best practices quickly. Remeber to bring sheets and pillows when you go too…I obviously did NOT forget those… wait, yes i did. Oops! We are really grateful for the opportunity to set up the rig for the first time without the toddler around. Scott drives like a pro and I’m looking forward to our upcoming Adventures. 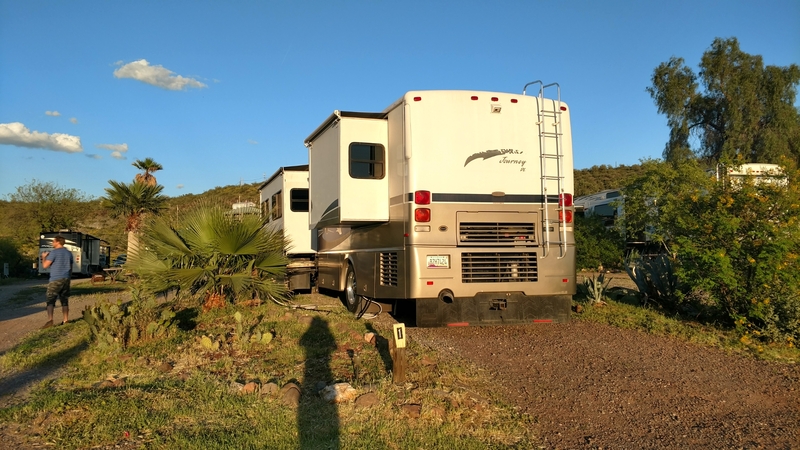 Planning to leave Phoenix by April 15th!! now that you’ve had a first night out, you will appreciate the movie RV with Robin Williams.